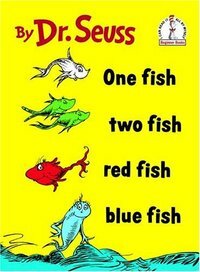 Red fish blue fish. 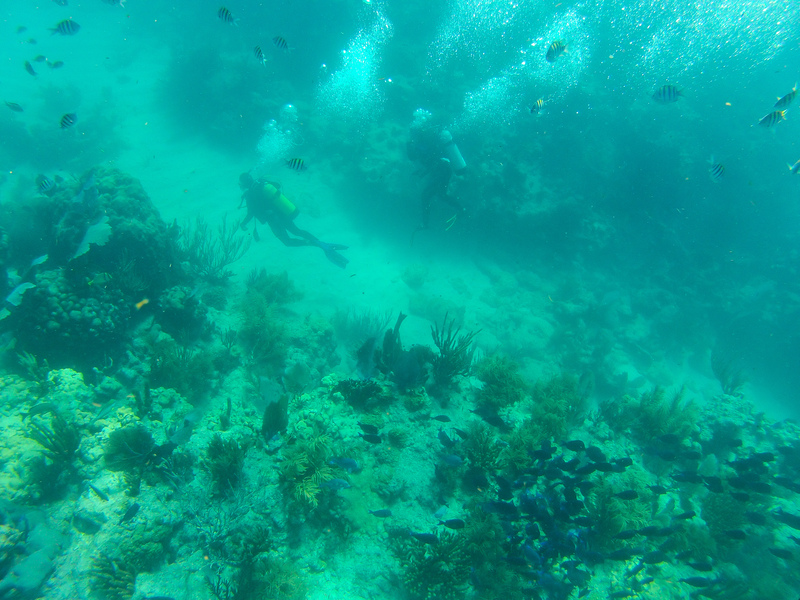 A couple days ago we set out in search of our own fishes and other marine creatures, choosing to explore the ocean by doing a little snorkeling. Neither of us are new to snorkeling. 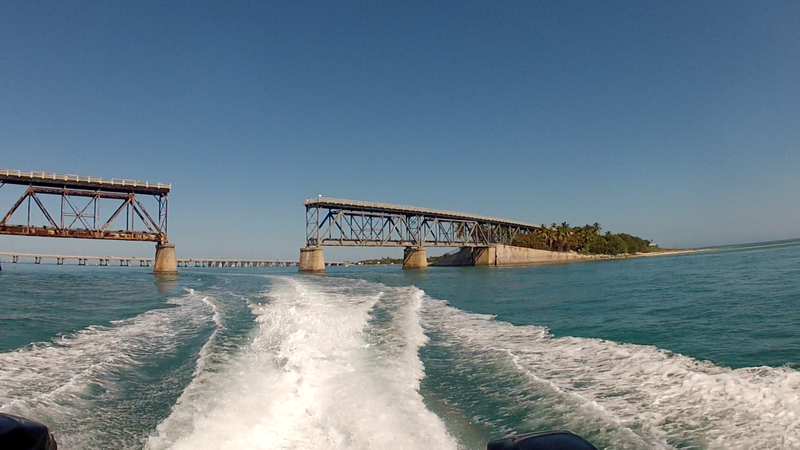 We always make sure to get in a few trips whenever we are in the Keys. However, Fran has always requested that we stay close to land. 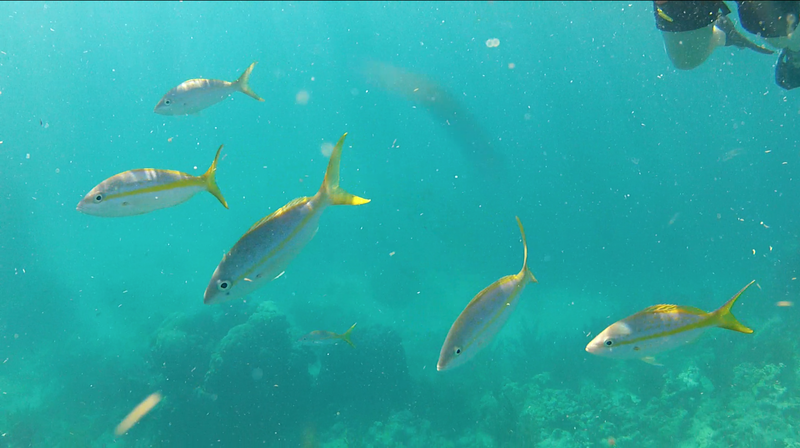 One of our favorite places to snorkel is in Fort Zachary Taylor State Park in Key West. There is a beach there with a significant drop off that is surrounded by a few reefs. 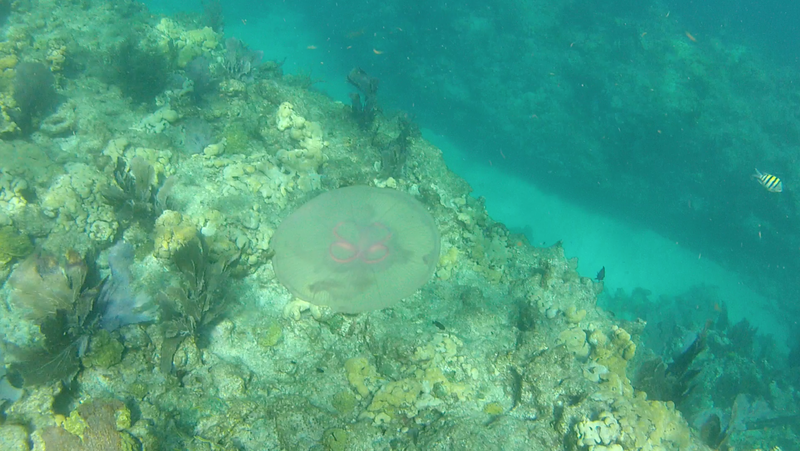 It makes for great snorkeling for beginners or those wishing to stay close to land. As nice as Ft. Zach is I have grown a bit tired of the same old same old. It’s been many moons since I did some decent snorkeling out in the open water, which I explained to Fran is quite an experience. When we booked our Bahia Honda trip, I informed her that they offered snorkeling trips out to Looe Key, a great spot in the ocean for exploring. I figured she say “Awesome! Have fun!! I’ll watch you leave from the beach.” So I was pretty surprised when she said she actually said she’d be up for the adventure with me! The day we set out was totally fabulous. It was a sizzling 80° with no clouds in the sky and bathtub warm water at 73°. Our boat had 40 other people on it, which ended up making it pretty packed. 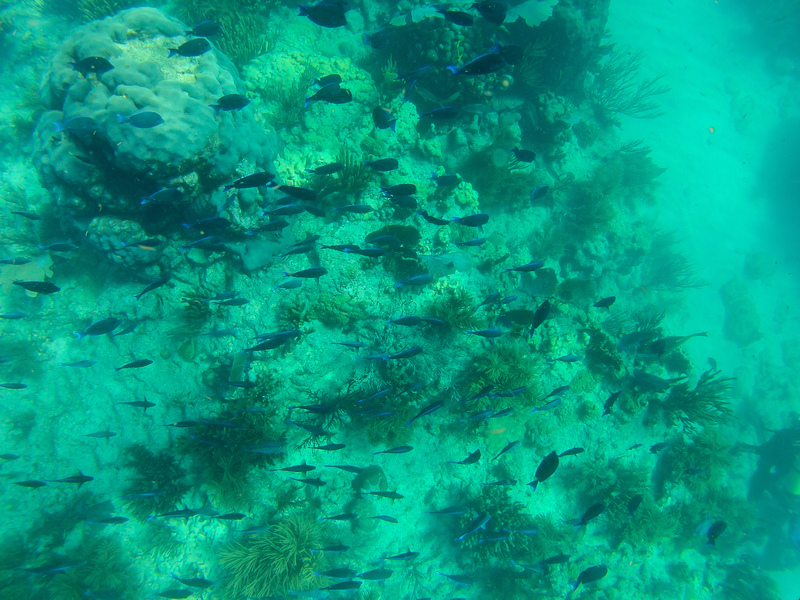 The ride out to Looe Key Reef took about 40 minutes, and was, for the most part, smooth sailing. The water was a bit choppy so it was a good thing Fran took her Dramamine! 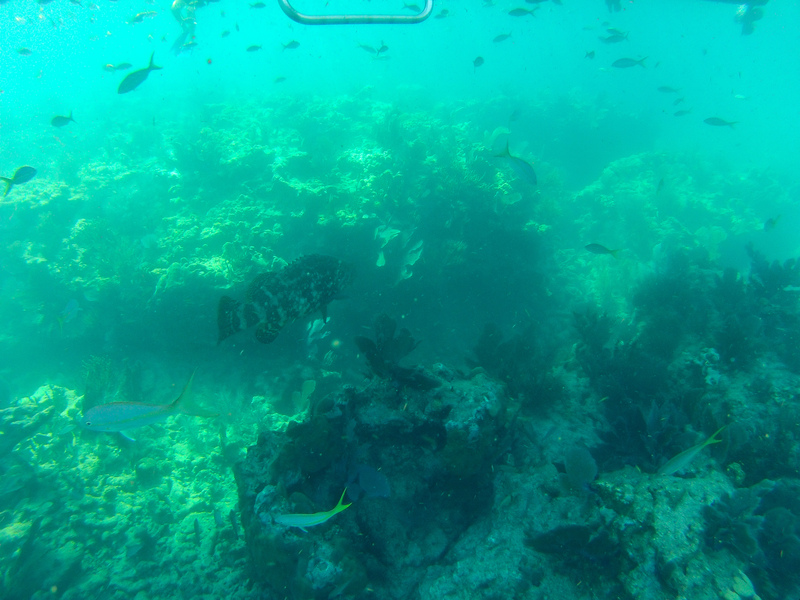 Looe Key is a national marine sanctuary south of Big Pine Key. Because it is protected land (er, ocean) they have a strict no touching policy. You can swim till you shrivel up and turn blue but you are absolutely forbidden to put your grimy hands on anything within the reef area. I am all for protected areas and really wish our country had more of them, preserving nature simply rocks. 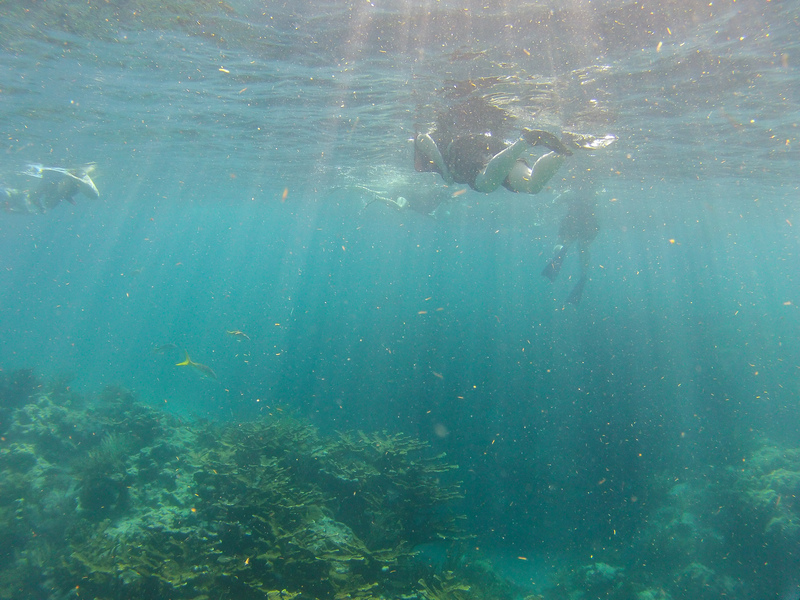 Once we got out to the snorkeling spot, I was eager to jump in. We got our gear on and set off. I was happy that Fran took to the water pretty easily. She isn’t a big fan of being away from land and is even less a fan of sharks, but I could tell she was enjoying herself and it was fun just to watch her amazement at all the sea life. At one point she looked at me with startled eyes and said…”I just saw a shark!” I asked if she was sure, she said absolutely. She explained that it was about my size and swimming away. A handful of other people saw it and said it was a black tipped reef shark, I am so bummed I missed it! 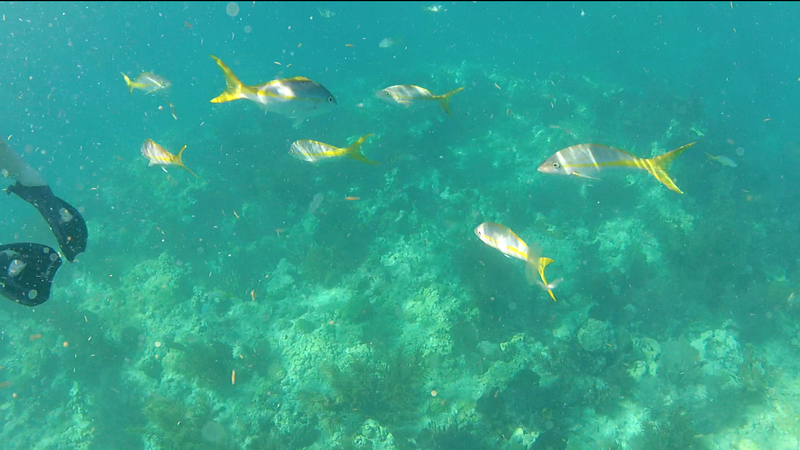 All in all our snorkeling trip was pretty decent. If I had to rate it I would probably give it a 7/10. The visibility was only about 40ft that day and the water was a bit on the rough side. 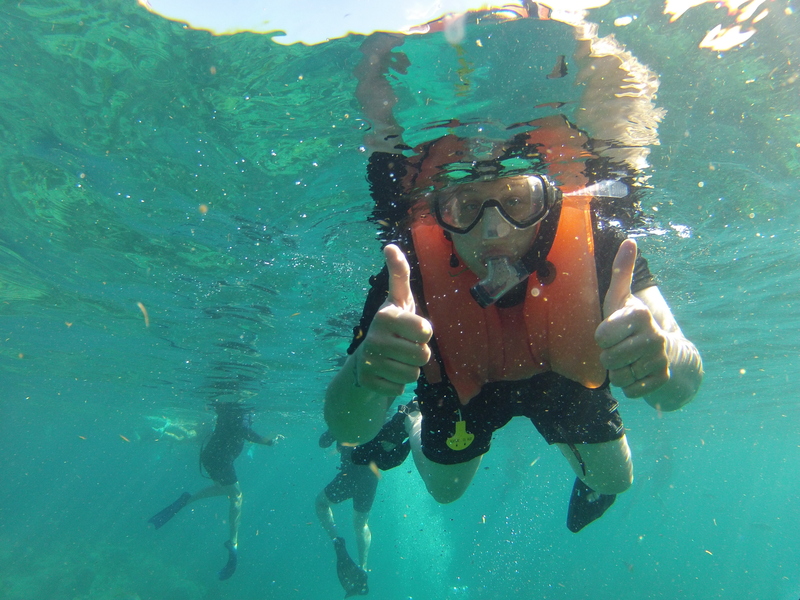 I have had better snorkeling experiences before but am glad that I was able to get Fran out into the ocean like that, something I never thought she’d do. A couple days later we decided to do some kayaking. We spotted a small island of the coast and made our way out to it. Once there, we basked in the sun and took in the view. After our voyage we headed over to the beach for some swimming, reading, snoozing and people watching. 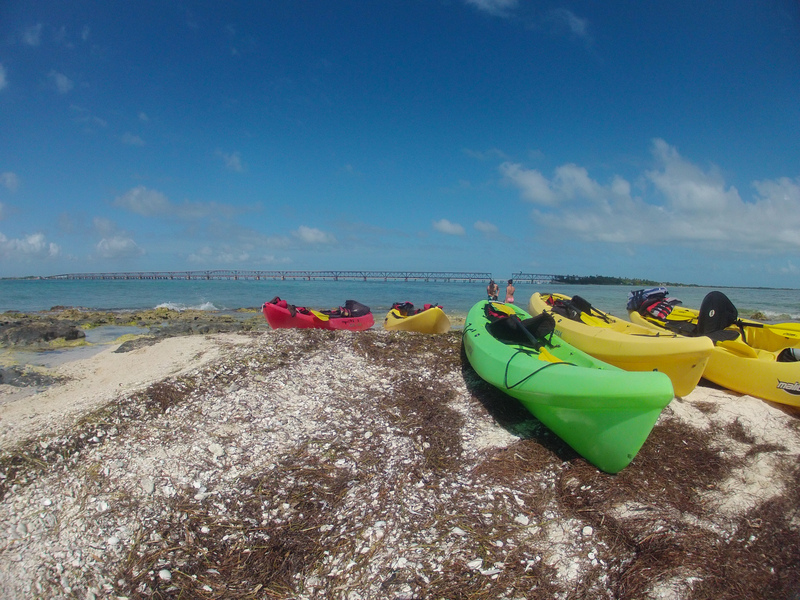 Despite a few days of nasty weather, our time in Bahia Honda has been picture perfect! Which makes the impending trek back home seem all the more dismal…heavy sigh. 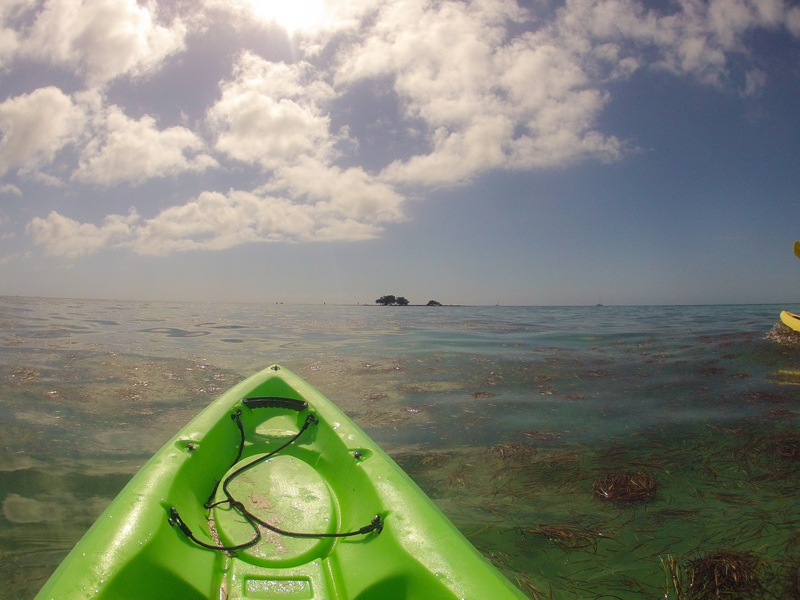 Tags: florida keys, RVing, snorkeling, travel. Bookmark the permalink. Enjoy every minute! And by the time you get back, spring will be almost here (there, whatever). You would love our South African companions – Milo, Tula and Spike the Jack Russells, and Ciara the golden. Thinking of it as prep for the wildlife to come.